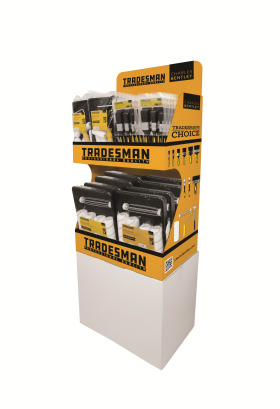 The launch of Charles Bentley & Son’s new DIY range at Spring Fair has proved to be a great success and so to move on to the next stage we are working with Preferred Partners to give the independent DIY market access to the range – why not give your local wholesaler a call. EFG – London area. Hills DIY – Wales & West Midlands. City Wholesale – Sheffield area. Manchester Wholesale – Greater Manchester. Give us a call if you are a wholesaler or cash & carry in NE, East Mids, Scotland or East Anglia and want to find out the benefits.